Penicillin was discovered in 1928 and with this new antibiotic, a new world in medicine began. Common infections could now be treated, saving many lives. But unlike the welcome news of penicillin’s discovery, today’s antibiotic news is sobering. The antibiotics we have today aren’t as effective at treating some types of infections as they used to be. Latest statistics show that each year, at least 2 million people in the United States contract an antibiotic-resistant infection and at least 23,000 die. Bacteria are living microorganisms that can mutate over time to protect themselves from the effects of antibiotics. The best-known example is Methicillin-resistant Staphylococcus aureus or MRSA, a staph infection that has become immune to many types of antibiotics. This is concerning because an untreated infection can lead to sepsis, a serious and often deadly response to an infection. Overuse and improper use of antibiotics are the main causes of antibiotic-resistant bacteria. According to the Centers for Disease Control and Prevention (CDC), at least 30% of antibiotics prescribed in the U.S. are unnecessary – either prescribed for a non-bacterial infection or for a bacterial infection that likely would have cleared up on its own. Improper use of antibiotics includes people using antibiotics prescribed for others, using saved and/or expired antibiotics from previous treatments, stopping treatment before the full infection is cleared up, and not taking the right dose at the right times. All of these expose bacteria to antibiotics, which enables them to mutate so they become invulnerable to the antibiotics later on. Treatment for sepsis is basic. 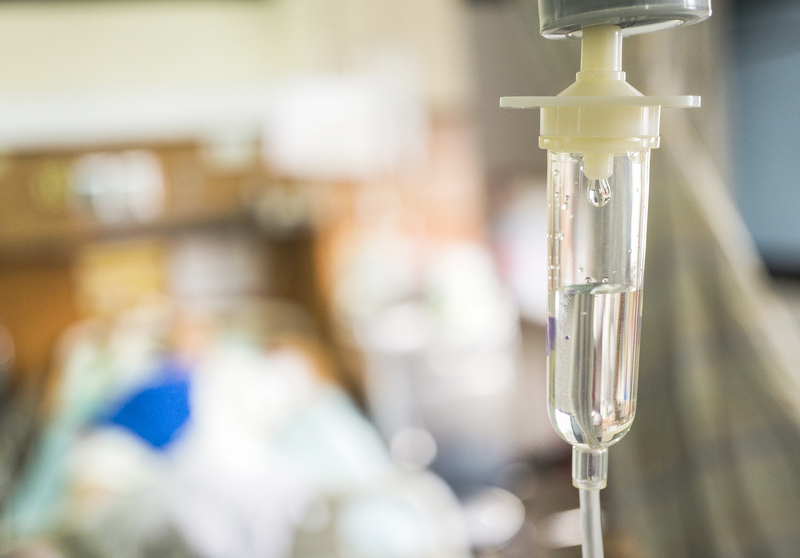 The standard of care following the Surviving Sepsis Campaign guidelines includes providing intravenous (IV) fluids and rapid administration of antibiotics within an hour of triaging the patients, for both sepsis and septic shock. Some physicians are questioning this approach. Combining sepsis and septic shock into one treatment plan is, in their opinion, a mistake. O’Brien qualifies this, pointing out that physicians have to take into consideration the patient’s risk and severity of illness, as well as any possible alternative diagnosis other than sepsis or septic shock. However, if a patient has signs of infection and is presenting with signs of sepsis, using antibiotics would reduce the chances of the patient progressing to septic shock, increasing their mortality risk. A study published in early 2017, coauthored by Sepsis Alliance Chief Medical Officer, Steven Q. Simpson, MD, Professor of Medicine and Acting Director of the Division of Pulmonary and Critical Care Medicine at the University of Kansas, agreed: “[L]onger time to initial antimicrobial administration is associated with increased progression of severe sepsis to septic shock and increased mortality,” the authors wrote. Antibiotics are essential for survival. Throughout Antibiotic Awareness Week, there will be a lot of attention placed on the proper and improper use of antibiotics. It is an issue that needs to be addressed and public education is essential. While everyone can contract a bacterial infection and suffer serious consequences if they aren’t treated, there are many who are at higher risk, such as those undergoing cancer treatment, who have surgery or invasive procedures, or have chronic diseases that affect their immune system. Don’t demand antibiotics if your doctor or nurse practitioner says you do not have a bacterial infection. Do not take antibiotics prescribed for anyone else. Do not take leftover antibiotics, even if they were prescribed for you. Finish your full course of antibiotics, even if you feel better and it seems like the infection has gone away. Follow the instructions on the prescription regarding how often to take the medication and the dosage. Speak with your doctor or nurse practitioner if you have side effects from the antibiotics. Ask your doctor or nurse practitioner how long it should take before you start to see or feel improvements. Contact them if you do not feel better by that time. To learn more about antibiotic resistance, and preventing infections and sepsis, visit Sepsis and Antibiotic Resistance and Sepsis and Prevention.